Luis Suarez Miramontes, one of the greatest players in Inter and European football history, is 70 years old today (2/5/05). The son of a butcher, Suarez was born in the Galician city of La Coruna on 2 May 1935. At the age of eighteen he was in the Real Deportivo starting line-up, then twelve months later moved to Barcelona before making his debut for Spain in a 5-1 win at home to Holland on 5 January 1957. Suarez scored 112 goals in 216 appearances for Barça, won two Spanish championships, two Fairs Cups and carried off the prestigious Ballon d'Or award in 1960. It was 1 June 1961 when Suarez signed for Inter under the eyes of Angelo Moratti. Barcelona had just lost the European Cup final to Benfica, but for 'Luisito', as his friends still call him, it was the start of a 'Great' era. Legend has it that the Catalan club completed renovation work at the Nou Camp stadium with the 225 million Italian Lira cashed from the sale of Suarez, who in the Great Inter side coached by Helenio 'The Magician' Herrera started an unforgettable era of triumphs. Luis Suarez was the soul and brain of the Nerazzurri side, and according to Herrera "had the speed of Bicicli, the ball control of Corso, the strength of Lindskog, the dribbling of Sivori and the shot of Altafini". He scored a goal on his Serie A debut, a 6-0 victory over Atalanta on 27 August 1961, and for Herrera, his teammates and the fans Luis immediately became a reference point with his class and personality, collecting 328 appearances and scoring 55 goals in nine Nerazzurri seasons. He won three Scudetti (1962/63, 1964/65 and 1965/66), two European Cups (1963/64 and 1964/65), and two Intercontinental Cups (1964 and 1965). He ended his Inter playing career as he started it with another big win, a 5-0 victory away to Sampdoria on 26 April 1970, then transferred to the Genoa club in 1970 before hanging up his boots. Suarez went on to become a coach, and led Inter on three separate occasions before becoming a Nerazzurri talent scout. From Inter and its fans, many happy returns to Luisito Suarez. Great to know more about Luis. Thanks Fabio! The only spanish player who has won the golden ball.... GRANDE SUAREZ! La noticia sorprendi&#243; a la ex estrella del Barcelona y del Inter de vacaciones en Liguria (noroeste de Italia), pero tambi&#233;n le ha reconciliado con Espa&#241;a. Nacido en A Coru&#241;a hace 65 a&#241;os y exiliado voluntariamente en Mil&#225;n, donde ejerce de ojeador del Inter, Luis Su&#225;rez lanza una sentida queja: &#171;En Espa&#241;a no me han reconocido como creo que merezco&#187;. Ning&#250;n otro futbolista espa&#241;ol se ha hecho acreedor del Bal&#243;n de Oro ni ha conseguido emularle en el planeta del calcio. - &#191;Qu&#233; impresi&#243;n le ha producido el reconocimiento de este premio? - Debo decir que me siento emocionado, contento, sumamente agradecido. Primero, porque no todos los d&#237;as te dicen que has sido el mejor jugador espa&#241;ol del siglo. Y, despu&#233;s, porque el premio me lo han dado los profesionales, los que entienden de f&#250;tbol, los que saben valorar verdaderamente la dimensi&#243;n de un jugador. Lo digo porque en muchas de estas votaciones se tiende a valorar m&#225;s las simpat&#237;as y las relaciones que la verdadera calidad futbol&#237;stica. - &#191;Puede ser m&#225;s preciso? - Todos hemos visto estas ceremonias de la FIFA y de la UEFA que se han convertido en un espect&#225;culo. A m&#237; me daba verdadera pena comprobar que mi nombre no aparec&#237;a entre los 40 o 50 jugadores m&#225;s significativos del siglo. Siempre he sido un cero en relaciones p&#250;blicas, en venderme, en pedir favores. Y creo que esa actitud ha podido pesar en el momento de juzgarme como futbolista. La encuesta de su diario, en cambio, responde a un criterio mucho m&#225;s transparente y claro. Se trata de votar entre profesionales al mejor futbolista y al mejor club del siglo. - &#191;A qu&#233; equipo hubiera votado usted? - Al Real Madrid, por su trayectoria nacional e internacional. Parece muy f&#225;cil ganar una Copa de Europa, pero puedo asegurar que es el logro m&#225;s complicado de todos. S&#233; que el Barcelona tambi&#233;n es un gran club, pero le ha faltado esa p&#225;tina internacional que tiene el Real Madrid. - &#191;Y cu&#225;l es su mejor jugador espa&#241;ol del siglo? - Gento, sin duda. Siempre he sentido mucha admiraci&#243;n hacia &#233;l porque dio personalidad al gran Real Madrid de los 50 y los 60. Y adem&#225;s porque fue capaz de progresar enormemente como futbolista. Al inicio era un jugador muy luchador y fuerte. La t&#233;cnica, en cambio, la fue aprendiendo poco a poco hasta convertirse en un grande. Aquellos a&#241;os fueron inolvidables para el f&#250;tbol espa&#241;ol. - De hecho, usted lider&#243; la selecci&#243;n nacional que se impuso a Rusia en la final de la Eurocopa de 1964. &#191;Cree que ha pesado ese t&#237;tulo en el juicio de quienes le han votado como mejor futbolista del siglo? - Javier Irureta ha dicho que usted marc&#243; una &#233;poca. - Me considero un revolucionario, al menos en la faceta de haber emprendido aquella aventura de marcharme a Italia cuando nadie sal&#237;a de Espa&#241;a y cuando el Inter era un club pr&#225;cticamente desconocido. Despu&#233;s vinieron los t&#237;tulos, pero hasta entonces era inconcebible que una estrella espa&#241;ola del Bar&#231;a se marchara a un f&#250;tbol desonocido. - El traspaso cost&#243; 50 millones. - Era un cifra astron&#243;mica para la &#233;poca, y me alegro de haber tomado la decisi&#243;n de marcharme. El problema es que ni siquiera hoy los futbolistas espa&#241;oles se atreven a salir, a dar el paso. Es como si tuvieran miedo, como si les faltara confianza o valor para cambiar de clima. - Apenas ha vuelto a Espa&#241;a, con excepci&#243;n de su carrera de entrenador en las selecciones sub'21 y absoluta, &#191;por qu&#233; ese desapego de su pa&#237;s de nacimiento? - Est&#225; relacionado con lo que mencionaba al principio de la entrevista. Espa&#241;a, honestamente, no me ha tratado bien ni me ha reconocido como creo que merezco. Italia, en cambio, s&#237; ha sabido respetar mi carrera de futbolista. No quiero insistir en los reproches, en las nostalgias, pero un d&#237;a, cuando haya muerto, seguro que me plantan una escultura y una calle para recordarme, o sea, cuando yo no pueda disfrutarlo. - En Italia se le dispens&#243; un trato mejor. - Italia me ha dado el calor y el respeto que no me ha dado Espa&#241;a, por eso vivo aqu&#237;. Y por eso mismo me alegra tanto que los entrenadores de mi pa&#237;s hayan dicho que Luis Su&#225;rez es o fue el mejor jugador espa&#241;ol del siglo. A ciertas personas les costar&#225; digerirlo. Jam&#225;s he pedido un favor, ni he llamado al tel&#233;fono para ofrecerme, ni he movido un dedo para hacerme de rogar. Siempre he sido honesto, pero quiz&#225; no es una buena receta para que te reconozcan. - En ese deterioro de relaciones, &#191;ha influido, en alguna medida, su paso por la selecci&#243;n y el conflicto que se produjo con la Federaci&#243;n Espa&#241;ola? - Mi paso fue exactamente igual al de mis otros compa&#241;eros. Bien en la fase clasificatoria, mal en los momentos decisivos. Despu&#233;s, la federaci&#243;n te liquida y busca a otro, pero lo acepto como un profesional. Creo que hice cosas interesantes con la sub'21. if you want people i can translate that for you? Hell yes we'd like that. Thanks. the only spanish player who made it in Italy too..
Herrera took him from Barca to Inter back then. It would be nice to read it properly - so yes, thank you. It's a nice article, the coaches of la primera voted him the best Spanish player of the century, but he reckons he never got enough credit in Spain. The great heart & gem of La Grande Inter!!! 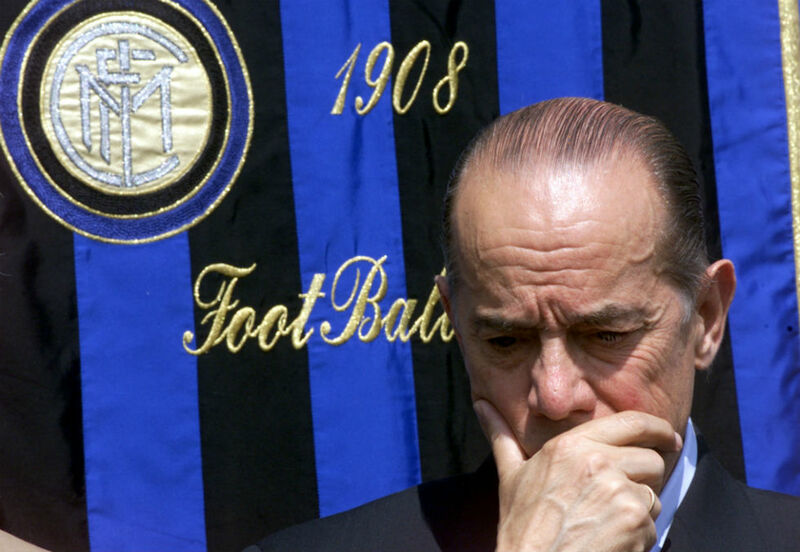 Today the legend of Inter and Barcelona turns 80 years old. "De Stephano is better than Pele and Messi, Pirlo is my successor"
A true legend of the game. Only Spaniard and the first midfielder to ever win a Ballon D'Or. I have a lot of respect for him. One of the most successful footballers ever, Luis Suárez was a European champion with Spain and FC Internazionale Milano; UEFA.com pays tribute on his 80th birthday. Described by Alfredo Di Stéfano as "the architect", Luis Suárez Miramontes remains one of the most decorated players in the history of the game, winning league titles in Spain and Italy, two European Champion Clubs' Cups, the UEFA European Championship and the Ballon d'Or. After honing his skills on the streets of A Coruna with balls made from cloths, Suárez debuted for RC Deportivo La Coruña in 1953 aged 18. His time with his local team proved brief as he struggled to make his mark against senior players far older and tougher than him. FC Barcelona took a chance on the attacking midfielder, who truly came into his own when Helenio Herrera arrived at the Camp Nou in 1958. The Argentinian coach was notoriously hard to please, but was instantly impressed by Suárez, calling him "a great organiser of teams" who "lived an exemplary life". The Galician relished the importance Herrera gave him in a side brimming with the attacking talent of László Kubala, Evaristo de Macedo, Justo Tejada, Zoltán Czibor and Sándor Kocsis. Barcelona blossomed, winning a league and cup double in 1959 and then the league again the next year. In 1960 Suárez became the first – and so far only – Spaniard to claim the Ballon d'Or, presenting the trophy to Barcelona's club museum on 29 April this year. "I was the organiser," he said of his role in Herrera's team. "I started deep but covered a lot of ground and I had a wide perspective and vision. I had a change of pace, good technique and could shoot from outside the box." He shares a special affinity with one of his Barça successors, saying: "I recognise myslef in Andrés Iniesta, because he's always looking to finish off a move himself or looking for a team-mate to score." Suárez came close to European glory with Barcelona in 1961, losing 3-2 to SL Benfica in a logic-defying European Cup final in which the Blaugrana hit the woodwork five times. That night in Berne was one of his last outings for Barça; that summer he joined mentor Herrera at FC Internazionale Milano for a then record fee of 25 million pesetas, around €150,000. "I don't think I would have ever agreed to leave Spain if it was not for Herrera," reflected Suárez. "He was well ahead of his time. His training sessions lasted half the time of other teams but we were twice as tired because of their intensity." The feeling was mutual. "To build a great Inter side, I needed a great midfielder and Suárez was the best," explained Herrera. With Suárez the last piece in Herrera's jigsaw, Inter landed their first Serie A championship in nine years in 1963, and the following year lifted the European Cup, ousting Real Madrid CF 3-1 in the final. "My best memory is definitely the Vienna final against Real Madrid for several reasons," Suárez reminisced. "It was only then that we realised we were such a great team. We had beaten a fantastic side who had dominated European football. For me, a former Barcelona player, I got double satisfaction. I will never forget the light in the eyes of our president [Angelo Moratti] after our triumph in Vienna. If I was a painter and I had to paint 'happiness', I would try to reproduce those eyes." Yet Suárez was not merely content to conquer Europe with his club: that same summer he helped Spain to glory at the UEFA European Championship on home soil. Then aged 29 and the nation's most senior player, he spearheaded a young squad to victories against Hungary in the semi-finals and the Soviet Union in the final. Another European Cup triumph followed with Inter in 1965, this time over Benfica. The Nerazzurri got to the final again in 1967, although injury prevented Suárez playing any part in the defeat by Celtic FC. Suárez saw out his playing days at UC Sampdoria, later returning to Inter for three different spells as coach. He also took charge of Spain at the 1990 FIFA World Cup though, despite his coaching career spanning two decades, Suárez was always more comfortable on the pitch. "I didn't go very far as a coach; I was better as a player," he admitted. While there is a plaque to Suárez in A Coruna, he continues to live in Milan and has no regrets about moving from Spain to Italy 54 years ago. "I fancied the challenge of seeing if I could achieve something away from home," he said. "I left a huge team in Barcelona to go to an Inter side who, at the time, were not very well known around Europe. It was great because we won a lot of trophies and made Inter a great team." Last edited by thatdude; 09 Nov 16 at 03:13.